A detailed analysis of the complex combination of causes (economic, financial, legislative and regulatory) that led to the extraordinary number of bank failures in the 1980s and early 1990s. An evaluation of the legislative, regulatory and supervisory responses to those failures. 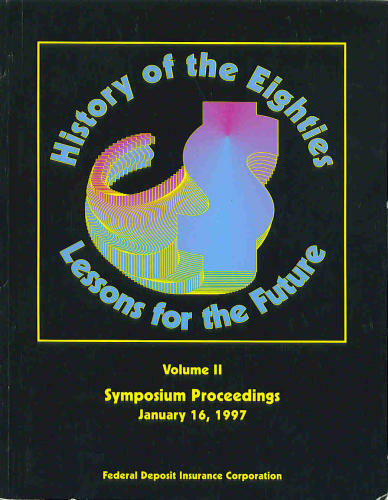 An assessment of the implications the experiences of the 1980s and early 1990s hold for deposit insurance and bank supervision in the future.